The third IFMAR 1/10 scale off-road worlds marks, in many ways, the end of my interest in radio controlled cars. It was arranged a few months after I had finished military school and service, a period I didn’t have any chance or time to “play” with my cars. Other interests and university studies had taken over, and all my stuff was put away, and would not be unpacked until about twenty years later. Yes, I bought the odd RCCA or Model Cars magazine in the years after, but the passion was gone, and my favourite brand Kyosho (who would have guessed?) didn’t produce new models that excited me any more. At the time I hadn’t even heard the name Akira Kogawa yet, and little did I know that the change in the Kyosho line-up and direction had very much to do with them losing his expertise to HPI. Kyosho released models like the Lazers and the Triumph and eventually the Pro-X, models that in my opinion lacked the charisma and style of the likes of the Optima and the Ultima, even if some of those were great racing buggies. 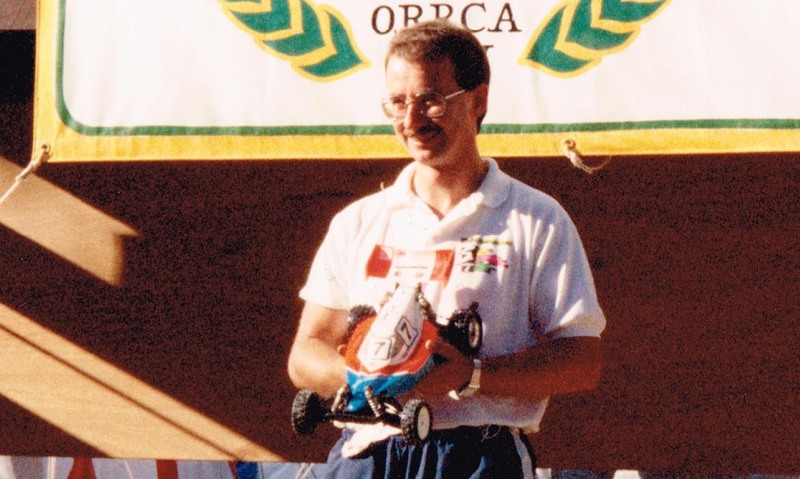 With this in mind it shouldn’t be a surprise that this will be the last of my IFMAR WC articles (well, I have started to develop an interest for the ’91 Worlds, so who knows…. ), and I may later dig into some of the European and Japanese Championships and the US Nationals in between the three IFMAR worlds that I have covered. There may also be something more from the earlier unofficial worlds races. Only time will tell, and it is very much controlled by what I find of good sources. This IFMAR championship is also the one of the three I have covered, that I know the least about, and that’s why this article has taken more time to finish than the first two. I’m filled with gratitude for the help people all around the world have provided. Please add to the story in the comments below, if you have anything to fill in or have any memories from the event. After USA and Europe hosted the first two Worlds, both Japan and Australia wanted to host the third. The decision was Sydney Australia, and the St. Ives Radio Control Car Club at the St. Ives Showground was the chosen venue. 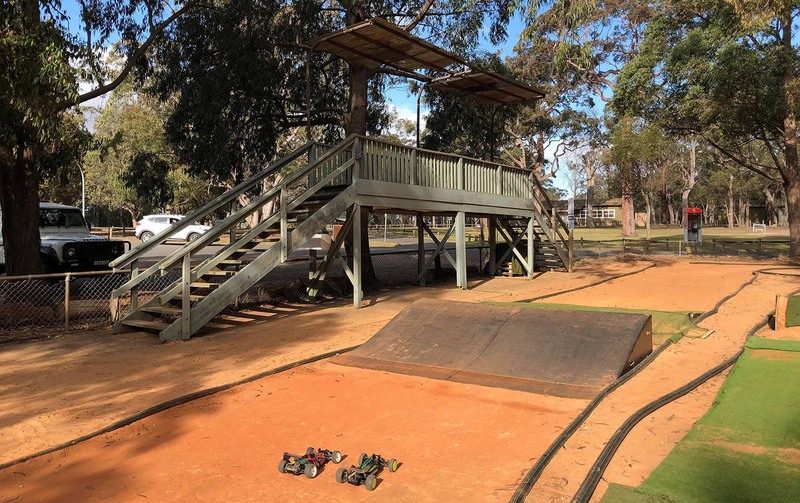 The track had beautiful surroundings in the middle of a recreational area at the outskirts of Sydney. While the first two worlds tracks are long gone, the St. Ives track is still very much alive and kicking, although the track layout has changed during the years. Here is a sketch of how the original 1989 Worlds track looked like. 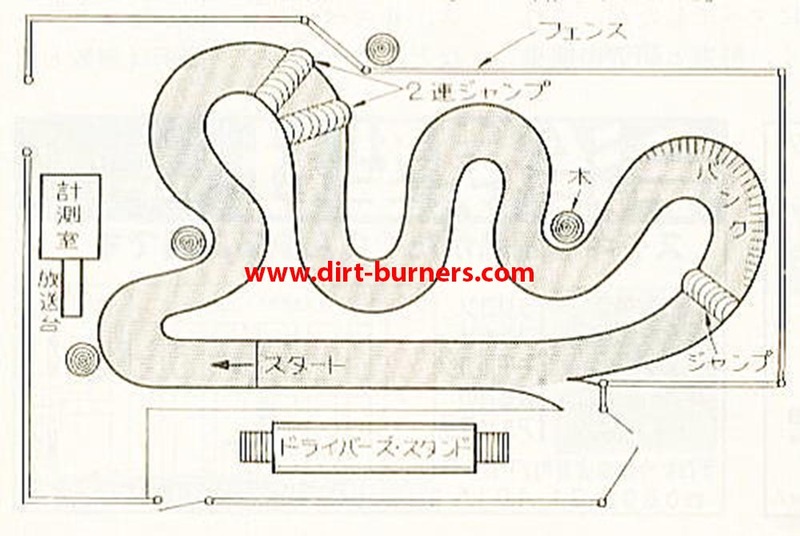 A sketch of the 89 Worlds track layout. 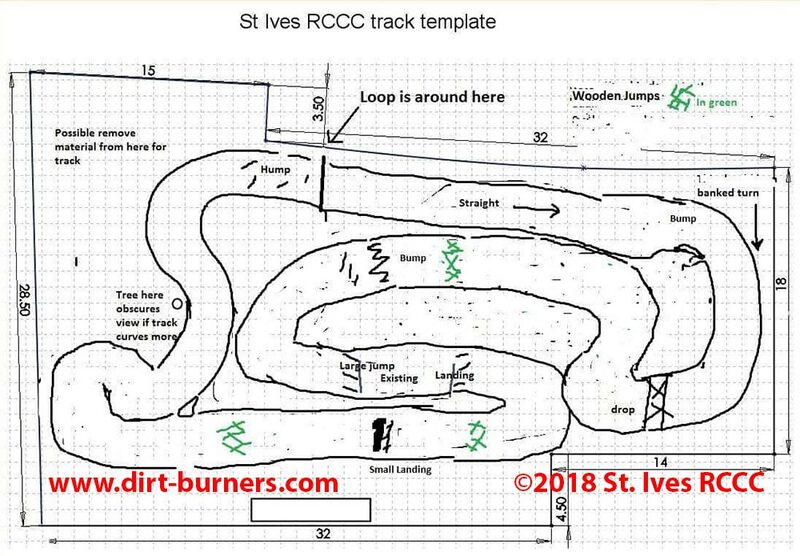 Thanks to Andrew of the St. Ives RCCC, here is a sketch of how the St. Ives track looks today. 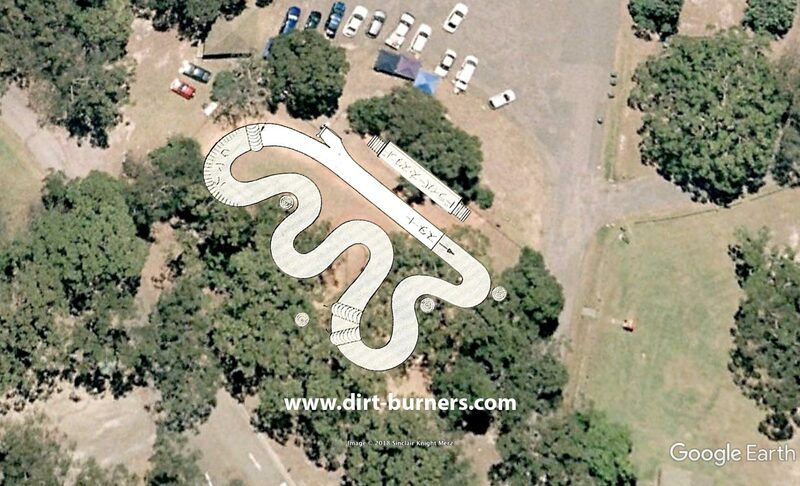 The current layout of the St. Ives track. Sketch: St. Ives RCCC. Scanning through old aerial photos of the area I have found that the old track layout were kept at least until 2009. It is difficult to spot the track on most of the photos, due to all the surrounding threes that are casting shadows, thus “camouflaging” the actual track. The 2009 photo was one of the better ones, and I have merged it with the sketch I got from Hirosaka Sr. The Japanese sketch of the track merged with an aerial photo from 2009. Photo: Google Earth. My friend, Takis Pallas, who is a local to the St. Ives track and the St. Ives Radio Control Car Club, confirmed that even if the track layout has changed, the drivers stand is still the same as back in 1989. You can also take a walk outside the track with Google Street View, to see how the area looks today. One thing that is obvious is that the seriousness of the competition had entered new heights, as the secrecy among some of the teams were at another level, compared to the first two Worlds. Associated engineers were working on the cars under blankets, and the cars were covered at all times during the build up to the race. There is even a story about an Australian team driver taking a photo of Jammin’ Jay Halsey’s car, and Jay demanding him to eject and destroy the film on the spot. At the time Gene Husting said this was because they feared others would copy the parts before they were able to get them on the market. It has later been said by Cliff Lett that the main reason for the secrecy was that Associated weren’t very keen on showing the world that the cars they used were so very different from the cars they actually sold at the time. Curtis Husting made most of the parts for the prototype RC-10 “Stealth”, and were not very keen on showing his secrets to the competition. Another thing that sparked quite a bit of controversy was the oversized Yokomo wheels, available only to the Yokomo and Associated teams. While others still used 2.0″ wheels, Yokomo had designed new 2.2″ wheels and matching tires (TR-31). 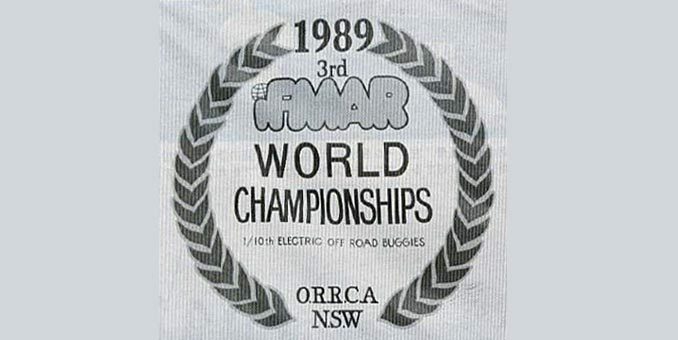 The combo was allowed in the worlds (IFMAR regulations), although they were not allowed according to many national regulations, including in the US (ROAR regulations) and in Europe (EFRA regulations). It soon became clear that the Yokomo wheels/tires were a huge advantage on the St. Ives track, and other teams tried to get them banned or get access to them, with no success with either. 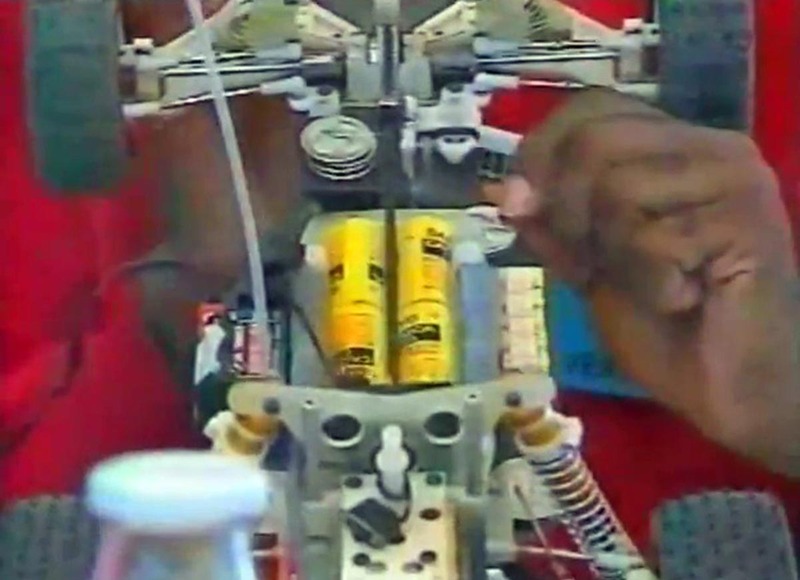 After all they were within the IFMAR regulations, something Yokomo had been smart enough to exploit. 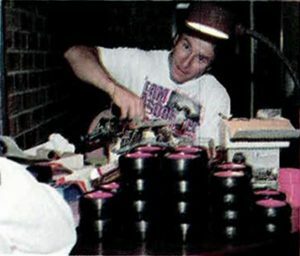 Cliff Lett working on his car behind a huge pile of the controversial Yokomo wheels and tires. The reason Yokomo had been able to design “shoes” specially engineered for the St. Ives track started tree months prior to the Worlds. The Japanese team sent a group of engineers to Australia with one mission, document the track, the surface, the weather and to bring earth/dirt samples of the track with them back to Japan. They even mounted a video camera on to a trolley and rolled it around the course, recording a “cars-eye-view” of the track. Well back in Japan they built a replica of the track, and used all their expertise to custom tune the cars, including the wheels and tires, to best match the Australian track. Masami Hirosaka obviously practiced at that replica track for quite a few hours, because it has been described that he could drive the St. Ives track blindfolded. The track was a mix of sandstone and clay that got rock hard when it dried up, actually very similar to the criticized surface of the previous Worlds in Romsey. Loose sand on top of that made the track very slippery, something the newly designed Yokomo wheels/tires handled better than the wheels/tires of the rival teams. This level of seriousness took the competition by surprise, and was instrumental in the success of both the Yokomo team and their US partners at Associated. Yokomo tried to play down the importance of the new wheels/tires by insisting they only had brought them as a back-up rain tire, in case the track was wet. They probably expected a lot of rain as they brought 30 big boxes of those tires. In Yokomo’s “defence”, there had been torrenting rainfalls in the weeks before the event. Associated insisted they never knew about the tires until arriving in Australia. The legend says it was Masami Hirosaka who introduced the Associated team to the new wheels/tires, after being surprised how good they were in training. After failing in getting the wheels/tires banned, Team Losi called back home to the US and had 100 sets of larger tires and 5 sets of hand crafted larger aluminum wheels produced and shipped out in just 48 hours! But in the end they chose to use the original wheels and tires. There is a rumour that after it was clear there were no limit on wheel/tire sizes, Losi even experimented with using monster truck tires on the cars. Losi also had their own secrets, with a new dual speed transmission they had brought after getting information that the track and the straights were extremely long. After arriving in Sydney they realized this info was wrong, and the plan to use this 2-speed transmission, to get both fast acceleration and high top speeds, eventually was scrapped. They experimented with the dual speed boxes, but as the track was too short to give the high speed gear any real advantage, they changed back to the standard setup for the finals, just like with the wheels. Kyosho also did their share of crazy wheels/tires experiments, like trying to run two front tires side by side on each rear wheel. Needless to say, they also went with their original setup in the end. Cliff Lett (3rd), Jay Halsey (2nd) and World Champion Masami Hirosaka celebrates the 2WD World Championship. Photo: Adrian Harlor. In the 2WD class, Joel Johnson was defending World Champion with the Kyosho Ultima. But the Kyosho team should be faced with some real competition from both Associated and Losi at St. Ives. Kyosho’s dominance in the 2WD class from two years back showed to be impossible to reproduce with Ultimas that were basically the same as those they had used in Romsey. Kyosho no longer were competitive at the highest level, as Losi had released their Jrx2 a year earlier, and had swept the silverware everywhere around the world. Associated also had put their development department (read: Roger Curtis) into high gear and had made giant leaps in the build up to the Worlds. Many new innovations were presented in the 2WD class. I have already mentioned the larger wheels and tires used by the Yokomo/Associated team(s), but Associated also debuted (well, actually it was the second race using it) early prototypes of what would be the “Stealth” gearbox, where they had moved away from the complicated, and rather ineffective, 6-gear design of the old gearboxes, and reverted to a more conventional 3-gear design in the style of the old Tamiya SRB gearboxes. Gone was the spur gear mounted differential, as the new gearbox had the differential in the drive gear, like on the Kyosho Ultima, the MIP gear boxes, and most other successful 2WD gear box designs. Most parts on the cars were hand made by Curtis Husting from designs by Roger Curtis, and only a very few parts were identical to the original RC10 design. 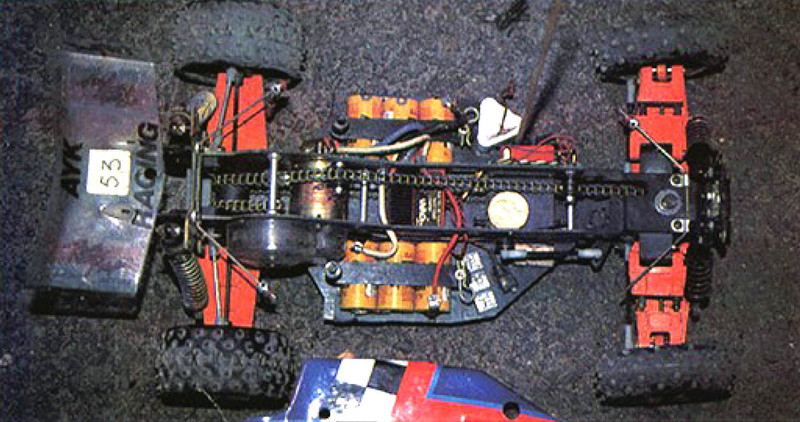 All RC10’s in the A-main were of the new design, except for Craig Dreschers (UK) car, that was the previous “RC-10 Graphite” version, with the old gear box. Masami Hirosaka (JP), Jay Halsey (US), Cliff Lett (US) and Rick Vehlow (US) all reached the A-main with their “RC-10 Stealth” buggies. There is a story about British driver Richard Isherwood trying to leap a line of cars during the presentation, and almost managed to clear them all. As my late grandfather used to say, “almost is no better than not“, and Rory Culls (UK) RC10 was unfortunately at the end of that line. As Ishy almost cleared them all, he landed on Rorys car, breaking the front shock tower. Jammin’ Jay Halseys top secret “Stealth” RC-10 ready to go. Photo: Adrian Harlor. Losi had their Jrx2 that was released the year before, and had a lot of success with the design in the races building up to the World Championships. Losi were by many named as absolute favorites for the 2WD title, due to their achievements with the Jrx2. Their top driver was Gil Losi Jr (US), an unique driver who, just like Japan and Yokomos Masami Hirosaka, seemed to have the ability to adapt to any class, any car and any conditions. In the build-up races to the Worlds they had however raced against the old versions of the Associated RC10, and not the newly designed, and cosmic top secret “Stealth” version. Unlike his team mates Mike Dunn (US), Jack Johnson (US) and Ron Rossetti (US), Gil Jr did not make it to the A-mains. Mike Dunns Losi Jrx2 getting maximum traction before the start. Photo: Adrian Harlor. Schumachers weapon of choice was their 1988 TopCat, their first competition 2WD buggy that was built on the success of their 4WD CAT. 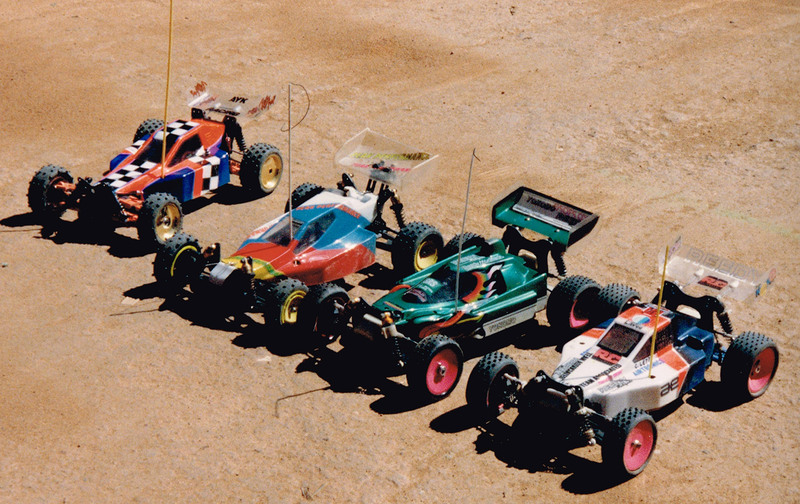 At the 87 Worlds at “home” in Romsey and in many other races, they had been running 2WD adapted versions of the 4WD CAT, but with mixed results. It was obvious that they needed a purpose built 2WD racer. 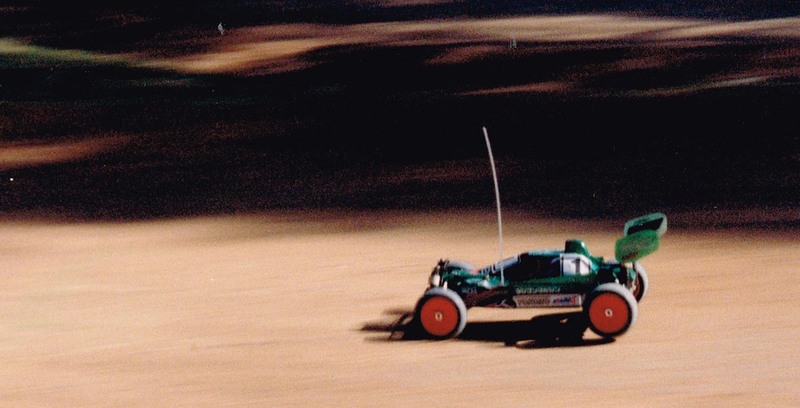 The TopCat, designed by Cecil Schumacher and Phil Booth, had in-line lay-down front shocks, a concept that was tried by AYK on several buggies almost a decade earlier. In the very capable hands of Jamie Booth (UK), the TopCat showed that Schumacher were on to something in the 2WD class as well, reaching the A-mains together with lots of RC10’s, Losi’s and Joel Johnson and his Kyosho Ultima. Most of the UK drivers at this World Championships were driving the TopCat in the 2WD class, as Schumacher were very “aggressive” in their “pushing” of their new car. After all they were main sponsors of the event, and wanted their products to get results. The only UK drivers not to drive the TopCat were Craig Drescher, Rory Cull and Mick Langridge running Associated RC10’s and Pete Stevens running a Kyosho Ultima. Joel Johnsons modified Ultima Pro. 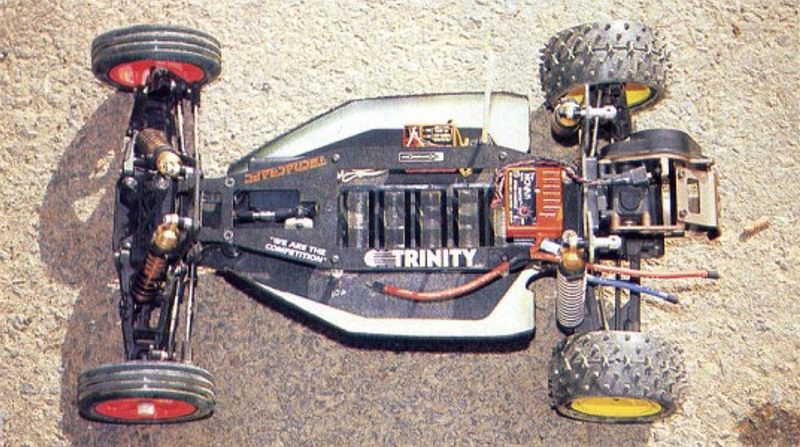 Tamiya, although being the worlds most popular and known brand of 1/10 scale electric RC buggies, had not been a force to be reckoned with in serious racing since the beginning of the 80’s. Besides the odd driver ending on the bottom parts of the result tables, Tamiya were virtually absent from the racing circles. In club-level racing, there were lots of Tamiyas, at least amongst the younger drivers, but here I’m talking about championship level racing. Coinciding with the Sydney Worlds, Tamiya announced a brand new 2WD competition buggy, the Astute. The Astute would never match the performances of the “big ones”, but proved to be a popular club racer in the years to come. 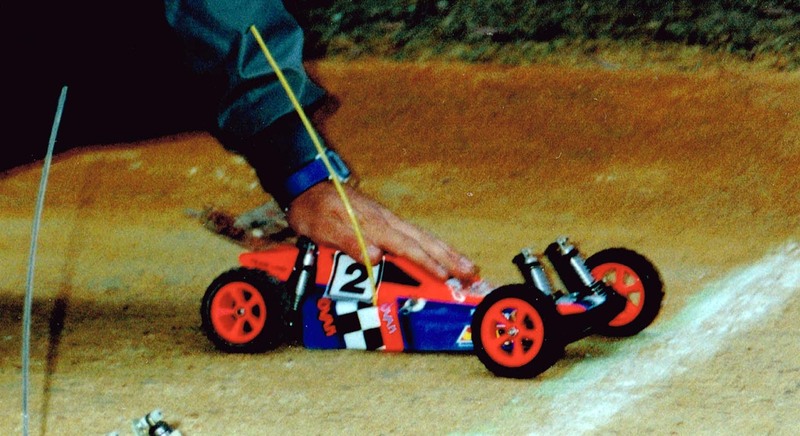 A Tamiya Astute in action at the 1989 Worlds. Photo: Ozipanda. 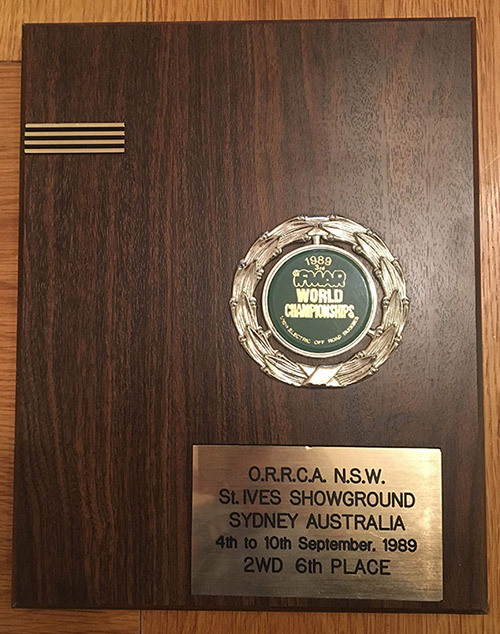 Jamie Booths 6th place trophy from the 2WD class at the 89 Worlds. Photo: James Smith. The 10 A-main places were determined after six rounds of quallifiers, and the qualified drivers were RC10 drivers Craig Drescher (UK), Rick Vehlow (US), Cliff Lett (US), Jay Halsey (US) and TQ Masami Hirosaka (JP). The Losi Jrx2 drivers making it into the A-mains were Ron Rossetti (US), Jack Johnson (US) and Mike Dunn (US), while Kyosho were represented by defending World Champion Joel Johnson (US) and Schumacher by Jamie Booth (UK) with a TopCat. Round 1 was won by Masami Hirosaka and his RC10, less than two seconds in front of Jay Halsey and Mike Dunn. These three had a lead of 1 round on the others going in to round two. Hirosaka showed up again in round two, taking his second win in the A-mains, followed by Cliff Lett with the same number of laps. Rick Vehlow finished third, making this round a “parade” for Associated and their RC10’s. With just one round left, only four drivers were within the reach of the title, Associated drivers Masami Hirosaka, Jay Halsey and Cliff Lett, as well as Mike Dunn fighting for the Losi team. Hirosaka, as usual, took an early lead, with Halsey pushing him hard. Halsey who was eager to regain his title from 1985 that was lost to Joel Johnson in 1987, kept the pressure up, and managed to overtake Hirosaka to take the win just half a second in front of the Japanese wonderboy. Cliff Lett snatched the third spot in the third round, as well as in the overall standings. After adding up all results it was clear that Masami Hirosaka was World Champion, with Jay Halsey in second place. Dunn ended up in forth place, followed by Vehlow, Booth, Drescher and Jack Johnson in eight. Joel Johnson had no chance of defending his 1987 championship and ended up in ninth place with Ron Rossetti in tenth. Team Associated’s new Stealth car had lived up to its expectations and overtaken the Losi Jrx2 as the top 2WD car. There can be only one! 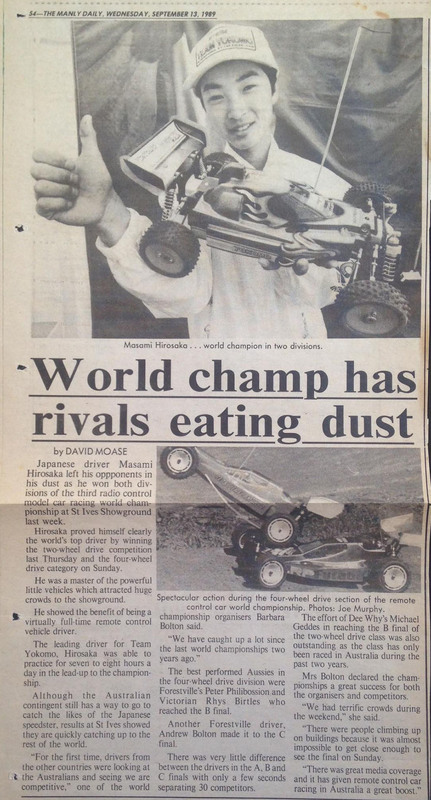 Masami Hirosaka celebrating his back-to-back 4WD World Championships. Photo: Adrian Harlor. Many have described the 4WD class as the main class of the World Championships. This probably dates back to the 1985 Worlds in Del Mar, as at that time there were no separate 2WD and 4WD classes, but just a Stock and a Modified/Open class. Most of the cars in the Modified/Open class were 4WD cars, and before the 1987 Worlds in Romsey, the classes were changed from Stock and Open/Modified to 2WD and 4WD, thus making the 4WD class the “successor” to the Modified/Open. Two years earlier Masami Hirosaka had destroyed Kyoshos dream of winning both the 2WD and 4WD classes at the 1987 Worlds by piloting his Schumacher CAT XL (later to be known as the XLS) to 4WD victory ahed of Katsunori Kondo and his Optima Mid prototype. Just like in the 2WD class, this year Kyosho only managed to get one car into the A-mains, with Rick Hohwart (US) running the new Kyosho Lazer ZX prototype. The majority of cars reaching the A-mains were Yokomos, either the 870C or the US spec. version YZ-10, as well as Schumacher ProCats, an enhanced version of the winning car from 1987. Mike Dunn (US) also made the A-mains with his AYK/Race Prep Pro Radiant. 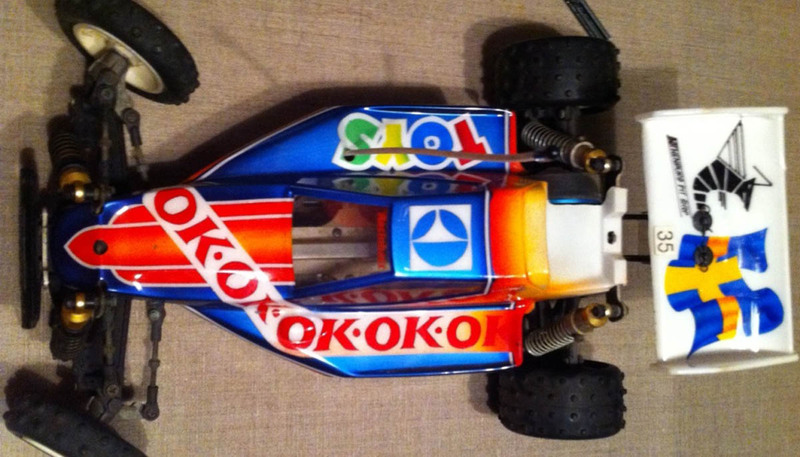 After using the prototype of the 870C (it still hadn’t been officialy named) at the 1987 Worlds, Yokomo came to Sydney with the now very race proven production version. 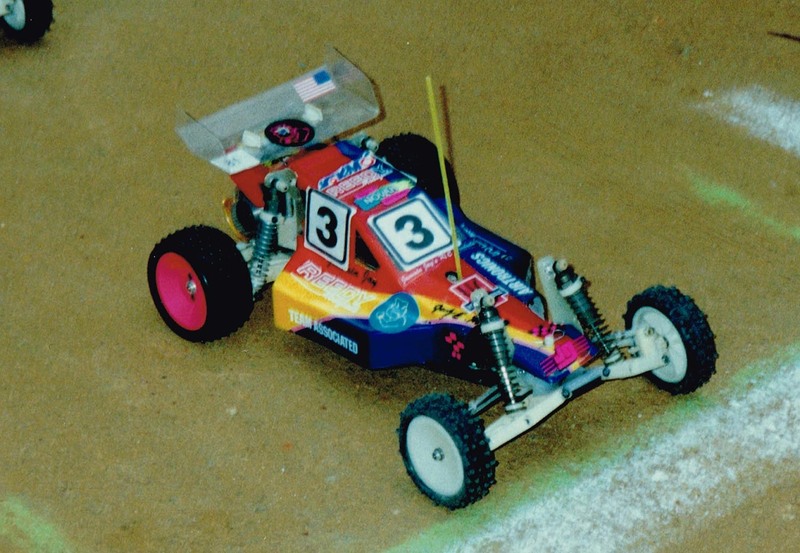 The US Team Associated drivers used the virtually identical US variant that was named the YZ-10. The 870C/YZ-10 were basically the same cars as the prototypes from the 1987 Worlds, but with one very significant difference, Masami Hirosaka. After winning the 4WD 1987 Worlds with the British made Schumacher CAT XL(S), Hirosaka had now been picked up by Yokomo to bring the gold home to Japan. The relationship between Hirosaka and Yokomo is now legendary, and one of the most successful relationships in the history of RC. Masami Hirosaka and his Yokomo YZ-870C in action. Photo: Adrian Harlor. Kyosho had a brand new 4WD prototype car ready for the Championships, with Team Kyosho drivers around the world receiving the new car codenamed “Legend” just a week before the race. The official name was revealed before the event, and the Lazer ZX was born. At first sight it can be difficult to distinguish the early Lazers from the Optima Mids, but a completely new drive train had been designed to make the propulsion more efficient. Even if most of the parts were different between the Lazer and the Optima Mid, it’s clear that Auto Model/Kyosho had decided to build on the success of Akira Kogawas (who now was working for Tatsuro Watanabe at HPI) Mid design, and had not designed a completely new car. But then again I’m not much of an expert on the Lazers, as my interest in Kyoshos really ends with Akira Kogawa and the Optima Mid. What I believe is Rick Hohwart’s Kyosho Lazer ZX (codenamed “Legend”) being squeezed between the Yokomo YZ-870C of Masami Hirosaka and the Yokomo YZ-10 of Cliff Lett. Notice the larger wheels on the Yokomos. Photo: Adrian Harlor. Some of the Team Kyosho drivers arriving in Sydney had not even received the new car yet, and because of that decided to stick with the older Optima Mids. Compared to the prototype Mids used in Romsey, the latest versions were now in a longer wheel base configuration, and was known as the LWB Mids. Lars Wærn of Sweden did not receive his “Legend” from Kyosho before the Worlds and decided to race his Dallas Mathiesen (RIP) painted LWB Optima Mid. Lars still has his car, just as it was back then, Aussie dirt and everything. Photo: Lars Wærn. Even with losing Masami Hirosaka to Yokomo, Schumacher had high hopes for the Sydney Worlds, something sponsoring the event would suggest. After winning at “home” in Romsey two years earlier, Schumacher also arrived in Sydney with a new car, the ProCat. The new car was a bit wider than the predecessor, to allow the use of saddle pack batteries, and also came with a brand new differential design. Just like with the 2WD TopCat, Schumacher pushed hard and offered free ProCats to every driver who wanted to do a last second switch. The late, great Phil Davies with the Schumacher ProCat. Phil has been described as a true gentleman, a fantastic driver, and an even better person. 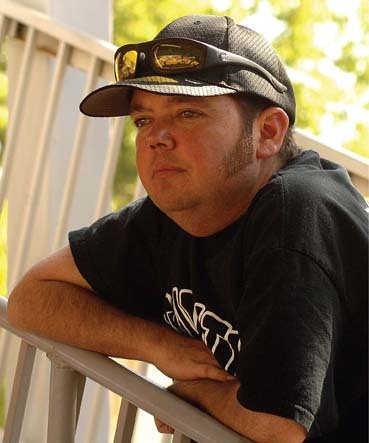 Rest in Peace legend, you are missed by the whole RC world. 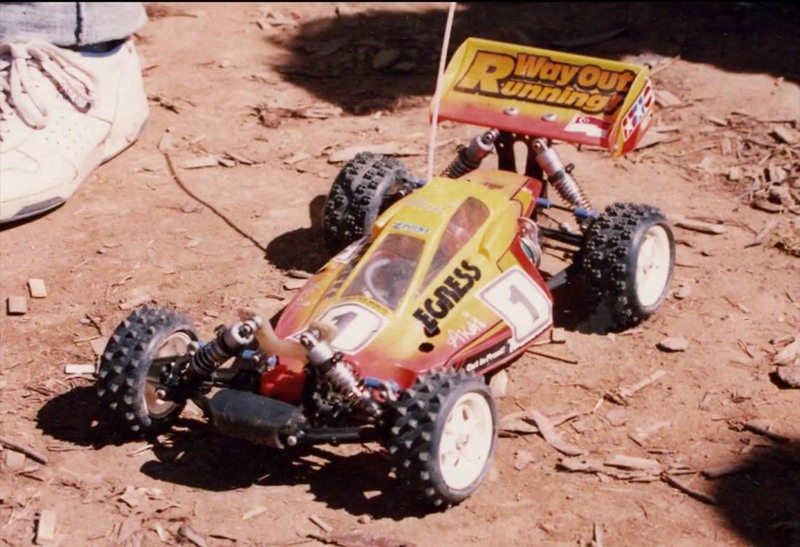 US based Race Prep had taken over more and more development of racing buggies from a struggling Japanese AYK company. Having been AYK’s US representatives for a while, Race Prep and AYK were now more entangled than ever, and all further development of the AYK buggies were now to be done from the US by brothers Mike and Steven Dunn. While everyone else now were using belts for propulsion, in many cases both for the 4WD system and internally, the Pro Radiant was the only car still to use good old chains. But those thinking the lack of more “modern” solutions would leave the car with no chances against the newly developed Yokomos, Kyoshos and Schumachers, were wrong. In the capable hands of Mike Dunn, the Pro Radiant earned a place in the A-Mains, showing that it still was not all about the newest and latest solutions and equipment. It really makes me wonder how a brilliant driver like Mike Dunn would have fared with a more modern car. Maybe Hirosaka-san should be thankful that he didn’t. Mike Dunns chain driven AYK/Race Prep Pro Radiant. Tamiya were also represented in the 4WD class with the brand new Egress. The Fumito Taki designed Egress was a next generation Avante, with a longer wheel base carbon chassis and simplified suspension. The Egress was quite different from the Yokomos, Schumachers and Kyoshos, as the design utilized a drive shaft instead of belts for power transmission from rear to front. This was a system Tamiya (and Fumito Taki) had been using since the introduction of the Hotshot in 1985, and involved a lot more gears than the more efficient belt drive systems. 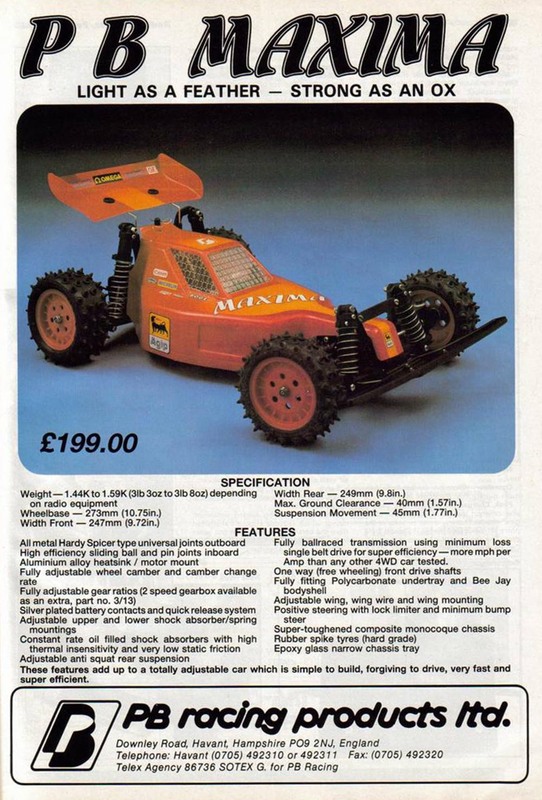 Tamiya never had any real success at the big 1/10 electric off-road championships, but their huge variety of popular models helped in bringing quite a lot of the top drivers in to the sport. 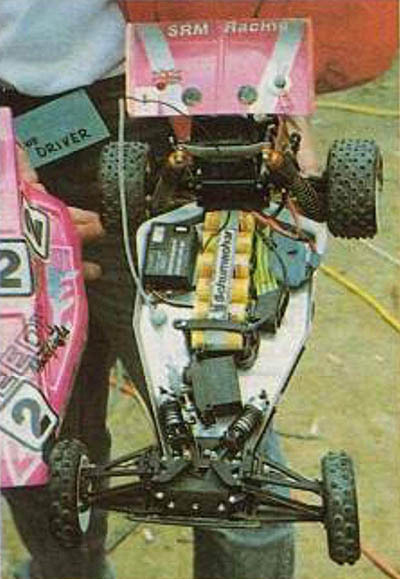 And yes I know Jamie Booth became a Tamiya team driver shortly after the Worlds, and eventually helped Tamiya evolve the Egress into the Top Force. The newly released Tamiya Egress at St. Ives. This car was driven by Lin Shikai from Singapore, who won the I-main and finished 81st. Photo: Ozipanda. If Tamiya was a brand without the greatest competition merits, what could be said about Nikko? Known for their RTR cars that were considered “toy grade”, it was a brand that (at least here in Norway) were not even sold at hobby shops, but would be found in toy stores around town. But they actually participated in the Sydney Worlds with their “Brat” buggy. Looking at the Nikko Brat it’s obvious that Nikko made an effort to break the “toy grade” stamp they had been carrying. Today the Nikko Brat, and the official “racing kits” needed to make it a full racing buggy, sells for some insane prices. Personally I think this buggy looks gorgeous, and I would not say no if offered one at a sane price! The Nikko Brat! Photo: Jean Michel Fraisse. Eustace Moore, the pioneer of 4WD 1/10 scale electric buggies, had of course brought the latest version of his MIP RC10 4WD. Starting out with a cable drive system for the Tamiya SRB series in the early 80’s, then moved on to chain drive, MIP now were using a belt drive for the 4WD RC10. On this years version the belt ran down the center of the car, and not offset to the left like on the earlier versions. This conversion kit never made it to the shops, as least as far as I know, and even photographs of the car is rather scarce. But the 2WD to 4WD conversion were now struggling to stay competitive against the newer purpose built 4WD buggies. Four years earlier, at the 85 Worlds in Del Mar, Moore cruised his MIP into the A-mains of the modified class (that in 87 became the 4WD class), while he slipped down to the B-mains in Romsey in 1987. Now, in 1989, he was far away from the best, and ended up in the H-main. After finishing the H-main Eustace dropped the TX, picked up the mic and provided his always excellent commentary services for the remaining finals! 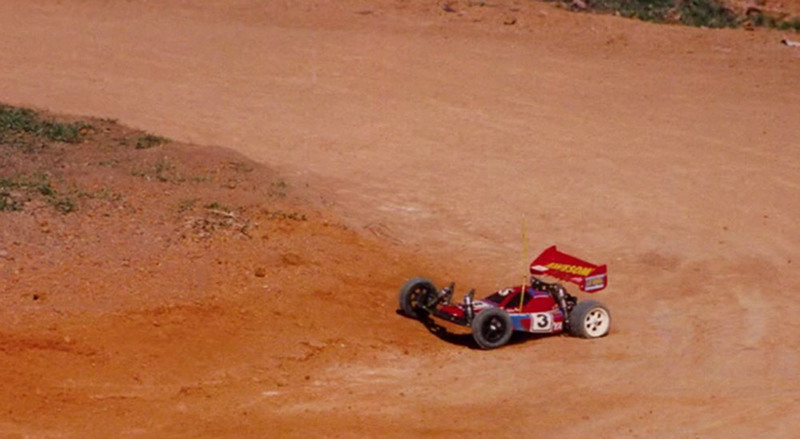 Screen cap from the official video, showing Eustace Moore with his 1989 MIP RC10 4WD. PB Racing had brought both their Maxima and their brand new ACE, but ended up using the Maxima as they didn’t have enough time for proper testing of the ACE. The Maxima was used by PB at the 89 Worlds, after failing to get the new ACE ready. Once again Masami Hirosaka (JP) took the TQ spot, just like he did in the 2WD class, and very few were now doubting that he could actually take a double win at St. Ives. Following Hirosaka closest in the qualifiers were Cliff Lett (US), both driving Yokomos. 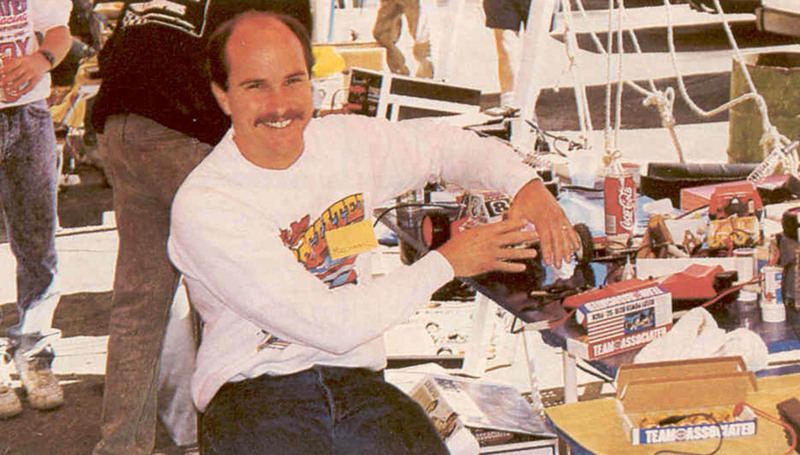 Rick Hohwart (US) followed very close in third with his Kyosho Lazer ZX prototype, at least giving some hope for Kyosho to better their disastrous 2WD campaign. The rest of the pack to fight it out in the A-mains were Butch Kloeber (US), Jay Halsey (US) and Satoshi Kayano (JP), all with Yokomos, Jürgen Lautenbach (WG), Phil Davies (UK) and Rory Cull (UK) driving ProCats, as well as Mike Dunn with his AYK Pro Radiant. Four of the 4WD A-main cars. Mike Dunns AYK, Rick Hohwarts Kyosho, Masami Hirosaka and Cliff Letts Yokomos. Photo: Adrian Harlor. Round one started in the usual way, with Masami Hirosaka taking the lead and the win. In round two, Hirosaka once again showed the others how it should be done, by producing the fastest run so far in the competition. Kloeber and Lautenbach were closest finishing a lap behind Hirosaka. Round three saw Butch Kloeber pushing Hirosaka for the whole run, overtaking him at the end and taking the win. 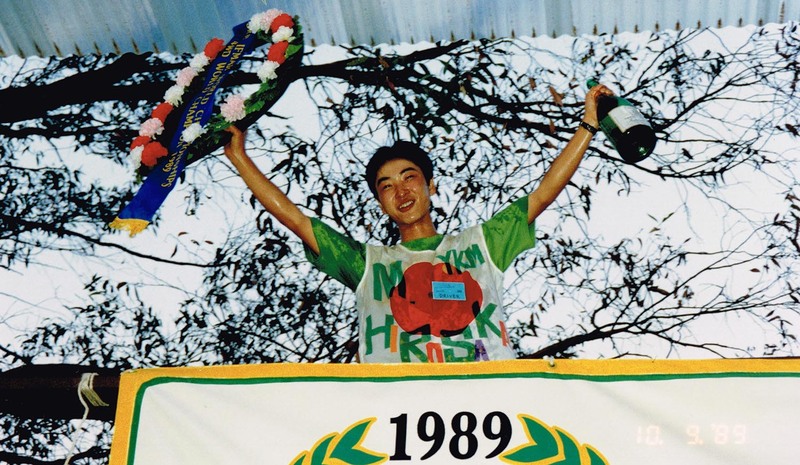 Adding the two best of the three runs, Hirosaka was crowned World Champion once again, defending his championship from Romsey. Kloeber finished second, making it a double win for Yokomo, while Rick Hohwart somehow saved Kyosho from total humiliation by securing the last podium place. Lett finished fourth, followed by Lautenbach, Davies, Dunn, Kayano, Cull and Halsey. Masami Hirosaka had done it one again, being the first driver in the history of IFMAR 1/10 off road World Championships to win both classes the same year. The world should hear more from the Japanese in the years to come. Much more. The full official video of the 1989 Sydney Worlds (and warm-up meet, including the in-car footage from Mike Dunns Pro Radiant. I have received so many photos from this event that I had to divide them into individual pages. Thank you all for contributing to preserve the history! 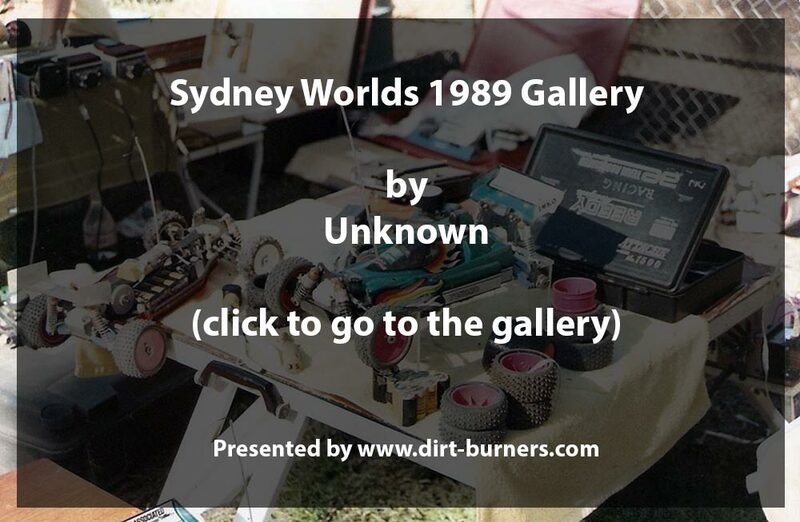 If you read this and suddenly realize you have some old photos from this (or any other interesting 1/10 off road race back in the 80’s) in a cupboard or a shoe box under your bed, now is the time to get them out and get them scanned! I would love to present them to the world! This first gallery consists of photos taken by Adrian Harlor who was only 16 yrs young at the time. Thank you Adrian for taking your time to share this treasure trove of pictures. Due to the large number of photos, Adrians gallery is split in three parts. 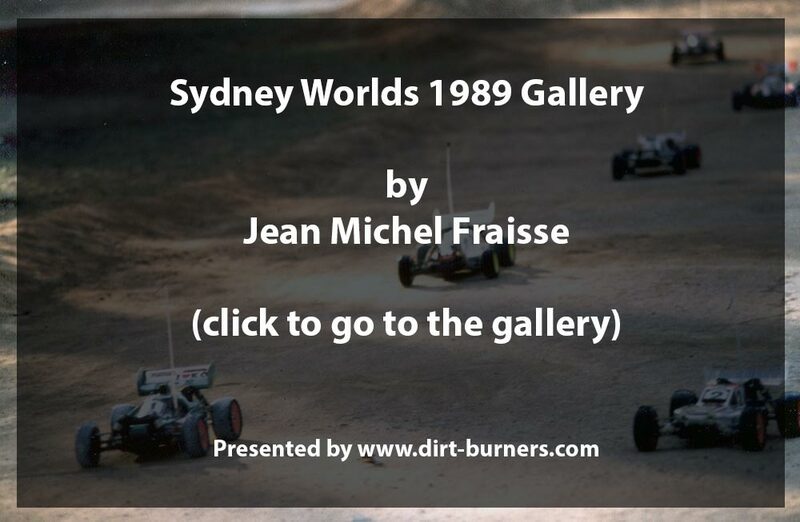 Jean Michel Fraisse was one of the French drivers competing at the 1989 Worlds, and obviously also brought his camera to the land down under. The photos were provided by Cedric Devillers. Thank you both Jean Michel and Cedric for helping to keep the memories of this event alive! Ozipanda is the nickname of the owner of these photos. These pictures were extracted from a still-image video that he posted on youtube. I have tried contacting him to ask if he could provide the original scans of these wonderful shots, but I have not been able to reach him. So Ozipanda….. if you read this….. contact me! This gallery is made up of photos sent me by Takis Pallas, but the original photographer is unknown. If you are the photographer of these absolutely great photos, please contact me…..
Takis Pallas, a local to the St. Ives track, did us all a big service by bringing his camera to the track to show us how it looks today. Thank you Takis! If you would like to read more from the 1989 Worlds in Sydney, you can have a look in my document depository where you will find race reports from many magazines from every part of the world. I will add to this archive if I find more reports. As always there are lots of people I would like to thank. Lars Wærn for the scan of his own race report in the Swedish magazine “Alt om Hobby”, Mike Haswell and Dan Yurek for race reports from various US and UK magazines, YF Lin for a Taiwanese race report, James Smith for showing us Jamie Booths trophy (James probably won it from Jamie in a game of cards. Neither of them will confirm). Thanks to Richard “Ishy” Isherwood for admitting to being a lousy jumper. Thank you Adrian Harlor, Cedric Devillers/Jean Michel Fraisse and Takis Pallas for all the legendary photos, thanks Neil Dickens for some sorely needed insight to the Schumacher world. Thanks to Andrew of the St. Ives RCCC for the sketch of the current track, and for calling out to the locals for help. And to those I have forgotten to mention, I really should start taking notes along the way as people helps out. But if you feel you should be on the list, please PM me, and I’ll give you the credit you deserve! You are not purposely neglected, it’s just that I have too many sources! Click here for a full list of results, including what I have been able to find about the equipment used. If you have anything to add to that list, please use the comments field.